What would it have been like if the Soviets had beat the U.S. to the moon? 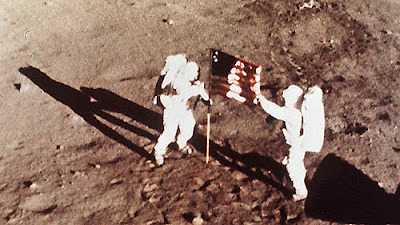 Nobody would've eaten ham salad on the moon (no great loss). Frank Sinatra's 'Fly Me to the Moon' wouldn't have been the first song played on the lunar surface. Alan Shepard couldn't have smuggled a six iron onto the moon and hit a golf ball over the horizon. Forget Augusta National: the world's most exclusive golf course. Aside from those distinctly American touches, how would a Soviet landing have differed from a U.S. landing? For starters, the Soviets planned to send only one cosmonaut to the lunar surface, while the U.S. landed two astronauts at a time. 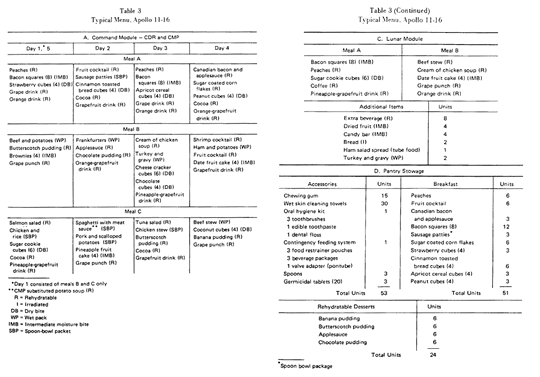 Sending just one astronaut down to the moon saves lots of fuel weight. The Soviets needed to save weight because their lunar rocket, the N1, wasn't as powerful as the U.S.'s Saturn V.
Neil and Buzz on the moon. In addition to landing just one cosmonaut, other weight-saving shortcuts were introduced. The Soviet lunar lander would have used the same engine for descent and landing. This was a risky choice. The U.S. lunar module design featured separate engines for descent and landing so that the craft could abort at almost any time during the landing, by igniting the ascent stage and jettisoning the landing engine. Unlike their U.S. counterparts, the Soviet lander and orbiter had no docking ports. After ascending from the moon the cosmonaut would have to spacewalk between the lander and orbiter. 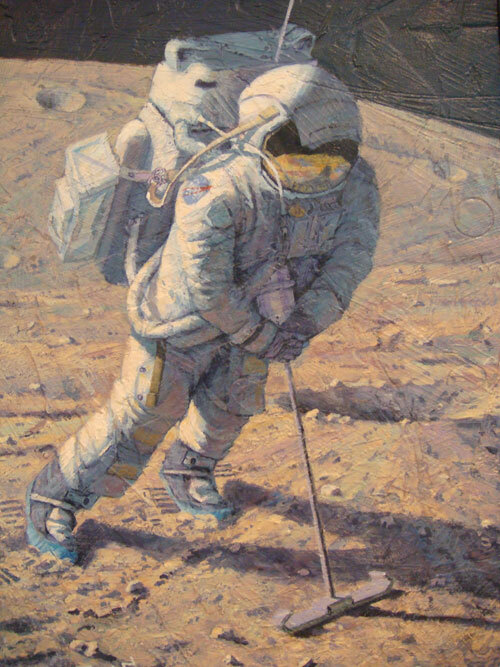 On the return trip from the moon, he'd be dragging along bags of lunar rocks, core samples, and film as he floated back to the spaceship that would return him to Earth. 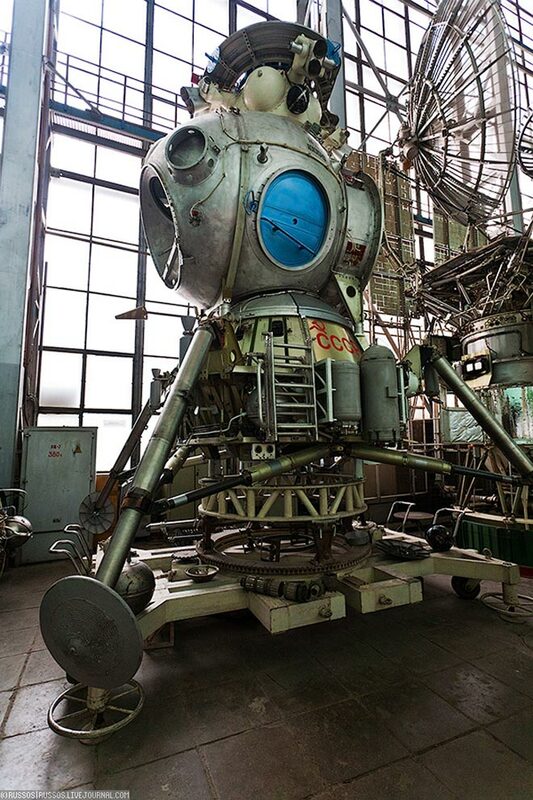 A Soviet lunar lander- sitting in Kazakhstan, not on the moon. Aside from weight-saving measures, other innovations were necessary to ensure that the lunar landing could be accomplished by just one person acting alone. 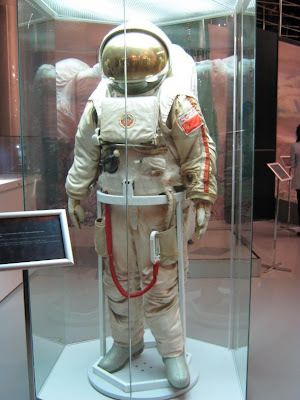 The Soviet landing would have featured a spacesuit designed specially for a one-man landing. The Krechet spacesuit was all one piece, with a door in the back. You'd simply step through a door into the suit, rather than pulling on and connecting separate top and bottom pieces, as the Apollo astronauts did. 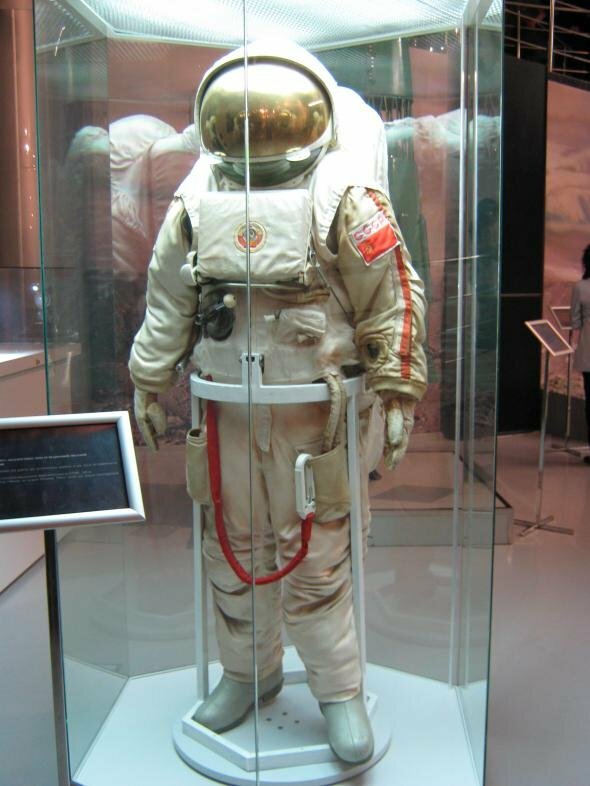 The suit included included a large metal hoop on its back, to be used by the cosmonaut to pick himself up if he fell on the moon. The solo cosmonaut could grab onto the hoop, and swing it around to right himself and stand back up. The Krechet suit, without the hoop. With all this planning, why didn't the Soviets land a man on the moon? The problem was the N1 rocket. It never became a reliable ride, as its development was doomed from the start. The N1 was a massive engineering project, requiring new fuels and technology never attempted before in the Soviet Union. But work on the N1 began a full five years after work on the Saturn V started. All the while, the N1 project was severely underfunded. In the end, there were only four N1 test launches, and all failed. An N1 launch explodes a few seconds after launch. However, a smaller Soviet rocket called the Proton managed to successfully launched a prototype of a manned lunar flyby spacecraft, though without any passengers aboard. This mission, Zond 7, performed as intended and landed safely in the Soviet Union on August 14, 1969. But as it happened, the most famous journey on August 14, 1969 wasn't the Zond 7's return to Earth. It was Neil Armstrong, Michael Collins, and Buzz Aldrin's ticker-tape parade through lower Manhattan. The occasion? Celebrating their return from the lunar surface a few weeks earlier. 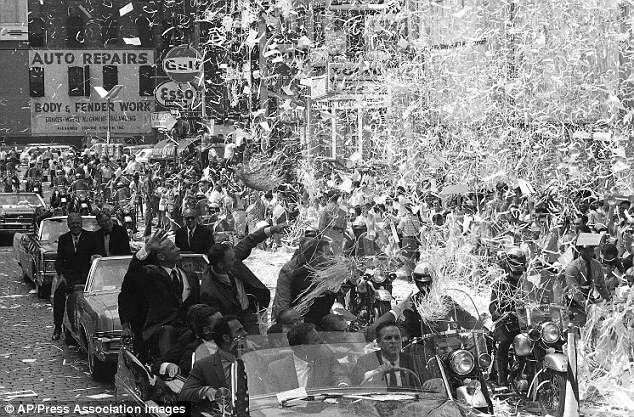 New York, New York; August 14, 1969. Also! Last week's advice for future lunar travelers was featured over on a really neat blog called Vintage Space. Vintage Space linked to the post as part of the blog series 'Carnival of Space'; you can check it out here. Sources: Wikipedia; Wired Science; Ben Evans, Foothold in the Seventies; Russianspaceweb.com. Just discovered your blog. I'm learning so much, and am having difficulty doing real work while the page is open! I'll definitely be sharing your articles with my physics students. Thank you, Infinitewell! Your blog is an entertaining read as well! And that's a cool photo of the space station you posted, I've never seen it from that angle before. Thanks Paul- that's interesting! I hadn't realized that the Soviets flew so many test flights of the hardware, including the lander. It does seem that if they'd had the right rocket, they were pretty well prepared to make the trip to the moon.